From stories of animal rescues to people refusing to abandon their animals in an evacuation or returning to save them afterwards, media reports abound about owners risking their lives for their pets in disasters. The reason is simple: pets matter to people. They are considered part of the family and therefore should be considered as part of personal, local and national disaster management plans. When promoting preparedness measures within a local community, particularly a city, it is important to ask people to take simple measures to include pets in their emergency plan. Companion animals play a significant role in providing emotional support to their families. A study on Hurricane Katrina survivors in the United States, suggested “forced abandonment of a companion animal during an evacuation adds considerably to the acute trauma, thereby increasing the risk of long-term post-traumatic stress disorder”. The study also proposed that the level of depression associated with losing a pet was similar to those people who lost their home. World Animal Protection has also conducted research to understand how much pets mean to people. A study in three Latin American cities determined that 75% of pet owners would not leave them behind during an evacuation, even it they only had 5 minutes to exit. In a similar study conducted in Mexico City over 90% of pet owners would not evacuate without their pets . Are people ready to protect their pets? Unfortunately, the answer is no. Even though they are considered family members, this does not necessarily translate into preparedness measures. At World Animal Protection, we have been working with pet owners to change this; by researching preparedness levels and developing campaigns to help them improve and ensure their pets are disaster ready. In Costa Rica, our research showed that only 2% of pet owners had an emergency plan and only 5% had an ID Tag. We launched a three-year campaign featuring public service announcements on television and social media posts with four simple messages: have an emergency plan, ID Tag, vaccination, and kennel. The results after the campaign showed an increase in the number of people being prepared: 21% had an emergency plan and 20% had an ID Tag. This effort was mentioned in a recent blog by Robert Glasser on BBC Media. We conducted similar efforts in Mexico City and Veracruz, Mexico, urging pet owners to prepare for earthquakes and hurricanes respectively. 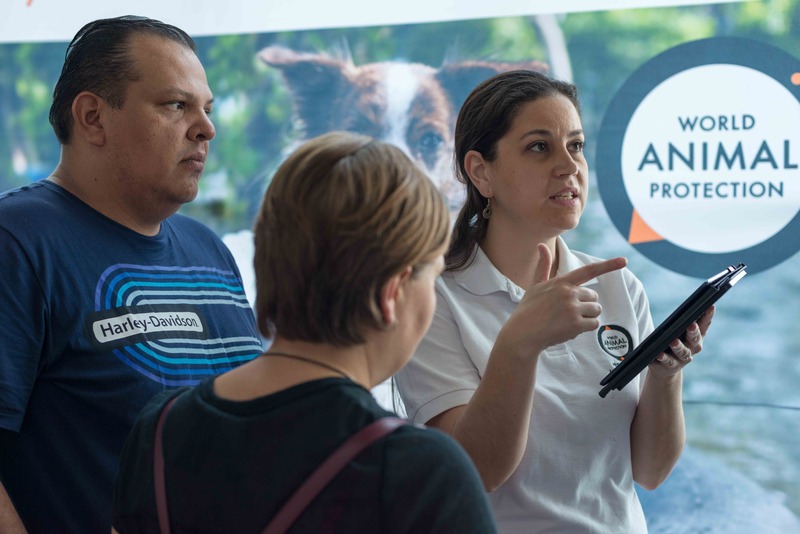 In Mexico City, initial preparedness levels among pet owners showed that only 17% had their vaccination card up to date, only 7% of the pets had ID Tags and 8% had emergency plans. After our campaign, we saw an increase in preparedness levels: 44% have an emergency plan, 45% have ID Tags and 86% had their vaccinations up to date. In Veracruz we focused on promoting identification for pets using a video and an online database. Our campaign was only developed for one year but we still saw a 4% increase in the number of pets with ID Tags and a 28% increase in the number of people with emergency kits. Although we did not have a control group, we definitely saw a trend toward increased preparedness in companion animal owners. As a DRR practitioner, you can ensure that the communities you work with include their pets in their emergency plans. The responsibility for keeping pets safe rests primarily with their owners, but they need to have access to information on how to do it. Preparedness measures for pets do not need to be complicated or expensive. Here are four simple measures to keep pets and their owners disaster safe. Vaccinations: Pets should always have their vaccinations up to date but it is even more important in disasters. Unvaccinated pets after a disaster could cause public health issues. Lack of vaccination could also compromise their ability to access pet friendly shelters. ID Tag: During events like floods or earthquakes, pets can get very scared and run away. Having an identification such as an ID Tag or preferably a microchip will help pets reunite with their owners. Emergency kit: To make them pet-friendly, emergency kits should include three days worth of pet food, water, any medication, plates, and blanket. Evacuation plan: Pets should be included in the family´s evacuation plan, and more importantly, people should find a safe place where they can stay with their pet in case of an evacuation, as not many emergency shelters take animals. In this video you will find an example of an animal evacuation from a building. This kind of messaging can be a new way of speaking to people about prevention. You can visit our social media to share these messages or learn about prevention for other types of animals such as farm animals. After all, owners cannot keep their pets safe without being prepared themselves. National Autonomous University of Mexico/World Animal Protection (2014). Attitudes of companion and farm animal owners during disasters. Unpublished internal project report.